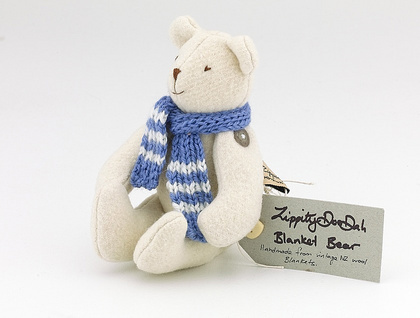 Once there was a Cream baby Bear who was hand crafted from a vintage 100% Wool Kaiapoi Blanket. 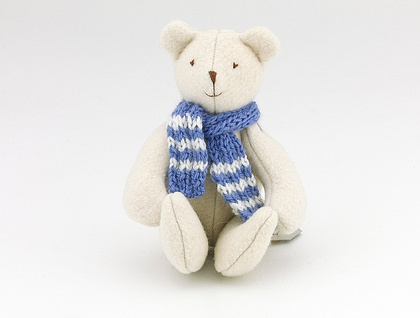 Because he is handmade and contains small parts ( buttons) he is suitable for children over 3. 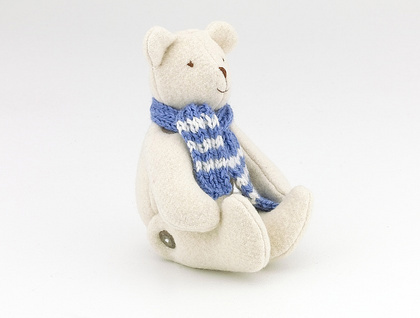 He is quite fond of sitting on beds ( must be because of her blanket origins).